Vodafone launched its 4G services in India starting from Kerala back in December 2015. It was launched in Chennai in February this year and is based on 2100 MHz band 1 that made the company first in the country to use the band that it had acquired last year. How good is Vodafone 4G in Chennai? Is it better than other operators? Let us find out. Before going to the topic of Vodafone 4G, let us talk about Vodafone 3G. I had been using Vodafone 3G a few years back as a secondary connection mainly for data since it was the fastest compared to others. I got close to around 18 to 20Mbps speed in 3G HSPA+. Later the speed started to degrade so I had to move from Vodafone. In 2016 Vodafone started to improve their 3G connectivity and speeds again as they started rolling out 4G services across the country. I was waiting for Vodafone 4G to launch in Chennai to try it out, and here is the review after using the service for a few months. Connectivity and speed are most important things for both 3G and 4G. Vodafone offers good connectivity most of the times. In places where the connectivity is poor, it switches to 3G HSPA+ since it is supported by strong backhaul of 3G network. Let’s talk about speed now. Based on the speed test in several areas around Chennai, Vodfaone 4G offered an average download speed of 20Mbps and average upload speed is also 20Mbps during daytime. 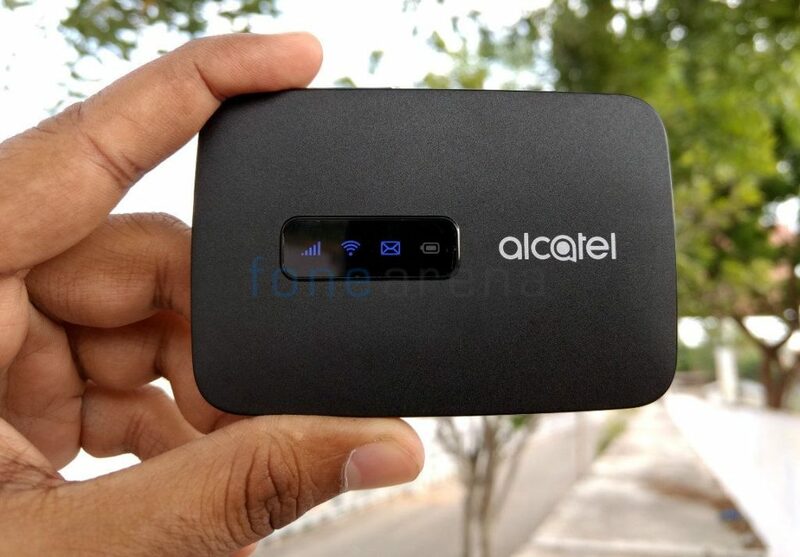 Results were slightly high at about 31.3Mbps download speed during day time with the Alcatel Link Zone MW40CJ WiFi hotspot that has 802.11n 2X2 MIMO LTE powered by Qualcomm MDM9207 modem for speeds up to 150Mbps, 500MB NAND flash and 250MB LPDDR RAM. 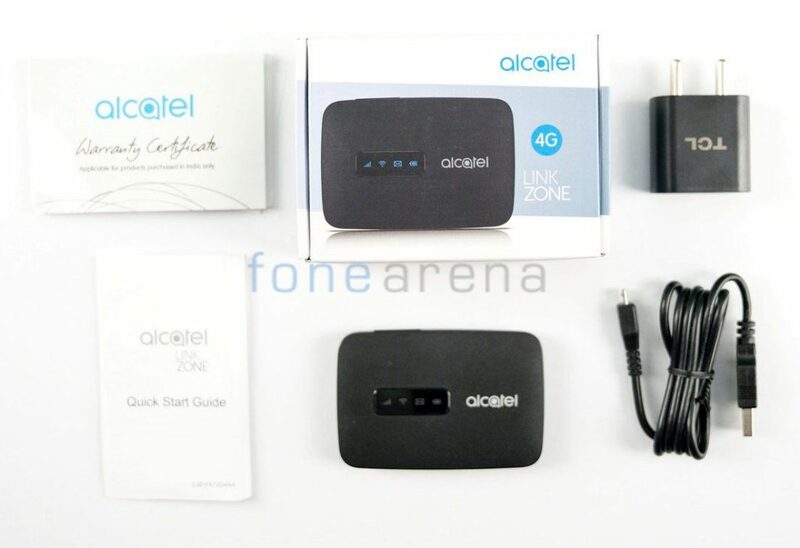 The Alcatel Link Zone is available from Vodafone Stores for Rs. 2399. Even though the device supports FDD LTE: B1/3/5 and TDD LTE: B40, it is locked to Vodafone network so you can only use it with Vodafone SIMs if you want to use the device. The box comes with micro USB cable and also includes a 2-pin charger (5V-1A). It has a 1800mAh battery that offers about 2 and half to 3 hours of battery life depending on your usage. 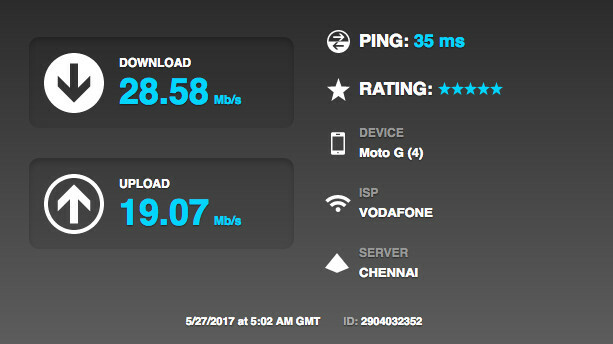 Upload speed is usually not as good as download speed, but Vodafone does a good job in maintaining upload speed constant as download speeds. This is definitely a good thing for people like me who upload a lot of stuff like images and videos to website on the move. The maximum download speed we were able to achieve on smartphone was 76.57 Mbps during early morning with ping of just 18ms on Moto G5. Maximum upload speed was 21.06Mbps in the morning. Speed mentioned here are measured only in few areas in Chennai. Speeds might vary depending on the location, coverage in your area and the device. Since Vodafone uses 2100 MHz (Band 1) in Chennai, it will not work is some devices like Xiaomi Redmi 4A, Redmi Note 4 and others that doesn’t support the band. In addition to 1800 MHz (Band 3) spectrum, which it has used for 4G roll out, Vodafone also has 2500 MHz (Band 41) spectrum that it won in recent auction so it should launch carrier aggregation across TD LTE and LTE FDD in coming months to boost up 4G speeds. Vodafone is also yet to launch 4G VoLTE services which will boost the call quality. Vodafone continues to launch new packs to make customers use 4G. Recently it launched SuperDay and SuperWeek packs for prepaid customers with local and STD calls along with free data benefits starting at Rs. 19. 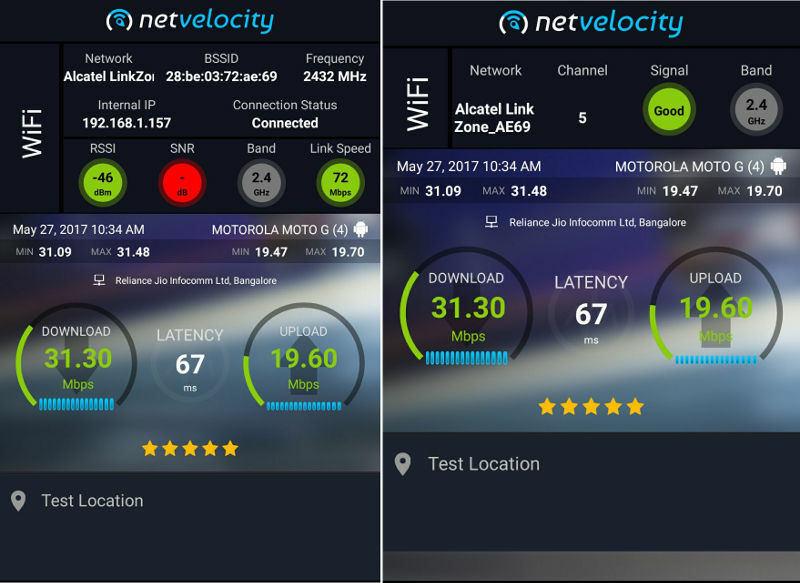 How good is Vodafone 4G coverage in your city, and what about the speed? Let us know in the comments below.